Ever wonder what to do with worn-out clothing or bedding that seems too threadbare to donate to charity? According to the nonprofit trade association Secondary Materials and Recycled Textiles (SMART), 11.1 million tons of used clothing and textiles ends up in landfills every year. But it doesn’t have to. Here are some ideas to give your oldies but goodies a new life. 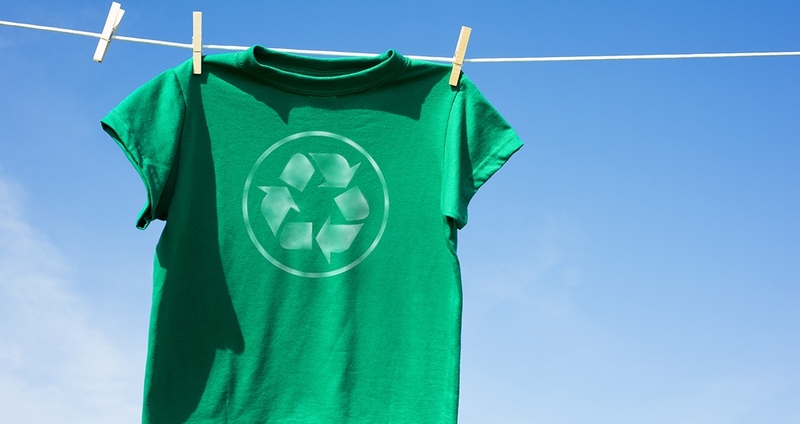 Think your ripped jeans or paper-thin T-shirts aren’t worthy of donating? Think again. Your “trash” can be transformed into someone else’s treasure, and it may even qualify for a tax deduction. Most charities accept clothing and textiles in all conditions as long as they are dry, odorless and laundered. If a charity can’t sell your used clothing or textiles in their stores or outlets, many sell such items to textile recyclers, who transform your junk into things like baseball stuffing, wiping cloths, furniture stuffing, rubberized playgrounds and insulation. Additionally, close to half of donated apparel is sent overseas to underdeveloped countries for sale to local vendors, which helps stimulate economic growth. Tax write-offs of your donation can be obtained if the items are in at least “good” condition. To locate a recycler in your area, as well as find a list of items (worn, torn or stained) that can and should be recycled, visit www.smartasn.org. If you can’t find anywhere local to take your worn-out bedding and bath towels, below are some creative ways to repurpose them. Contact your local pet shelter to donate used sheets, pillowcases, blankets and bath mats. These items are perfect for lining pet crates, cleaning up messes, drying off wet dogs and covering kennel doors when pets need a rest. Most pet shelters are underserved and these extra supplies are appreciated and make shelter life sweeter. You can also transform your old towels into a fun knot toy for dogs. Cut towels into strips lengthwise about 5 inches wide and tie knots along the length of the towel close together. Dogs can play tug of war with these or use them as chew toys. Used pillowcases can keep your kiddos clean. Simply cut armholes and a head hole in the closed end of an old pillowcase, and you’ve got a great smock for your kids to throw over their clothes while they paint, craft and make messes to their heart’s content. Keep an old sheet in your car trunk for impromptu picnics or trips to the beach. And when you park, use it to hide valuables or prop it up in the windshield to block out the hot sun. Your worn-out sheets and towels can also be cut into small cloths to replace paper towels and disposable sponges. These paper-towel substitutes will save a lot of trees!